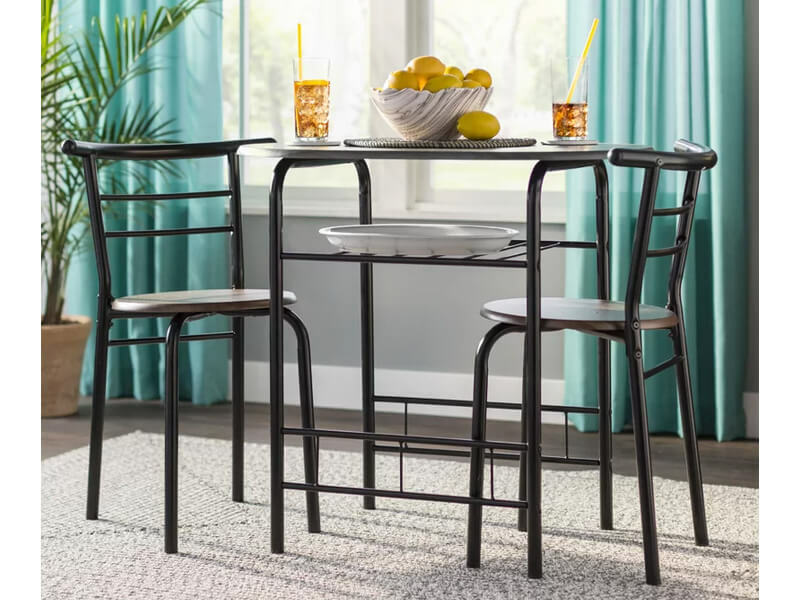 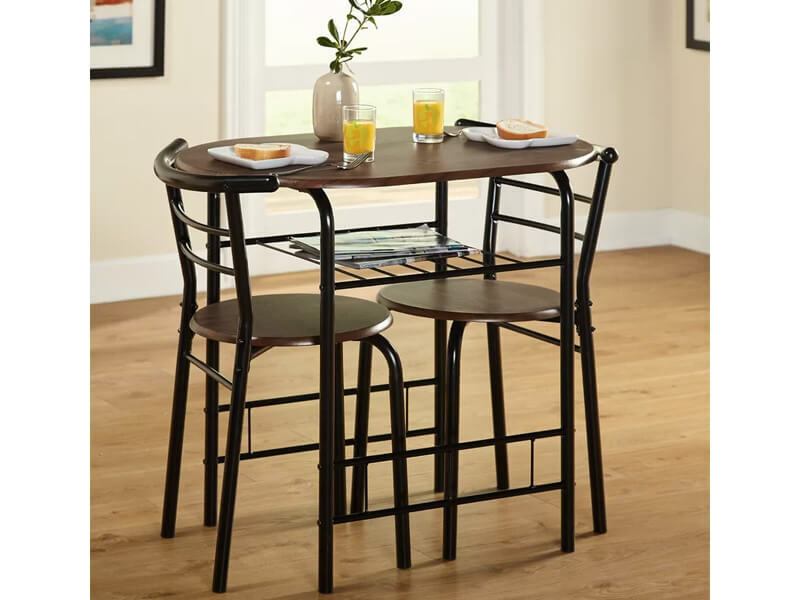 The Modern Fullerton Dining Package is a traditional design option, with its exquisite craftsmanship and durable materials, it stars the Modern Fullerton Table, a sturdy metal base table with 3 bottle holders under the wood grain surface top. 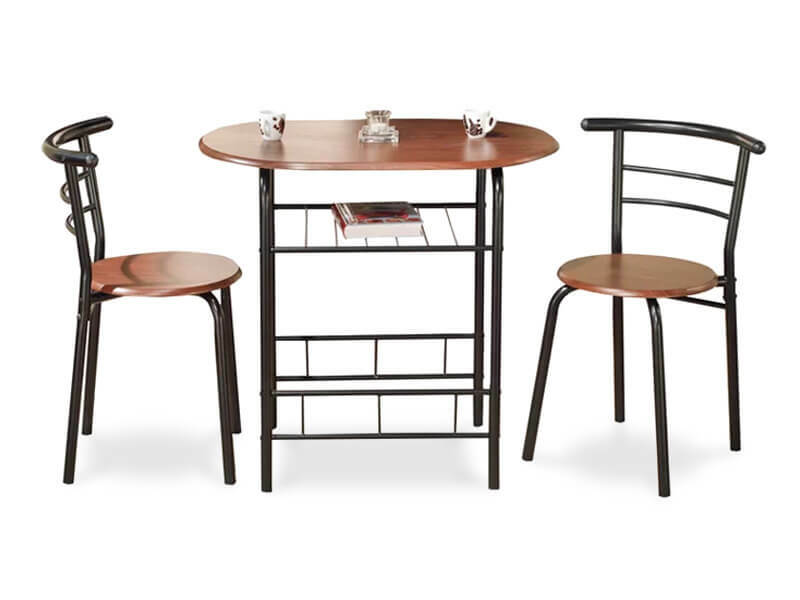 A clever way to store your favorite wine. 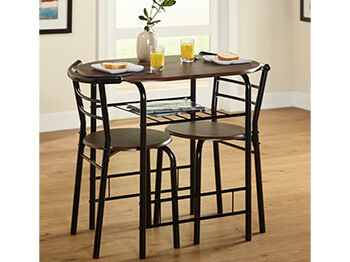 The Michigan High Stool, is a natural addition to the table, natural wood stool with padded seat for comfort and style. 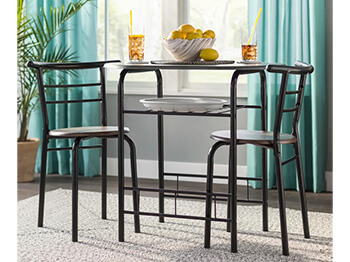 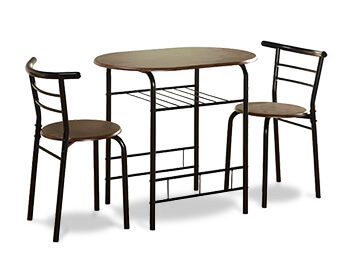 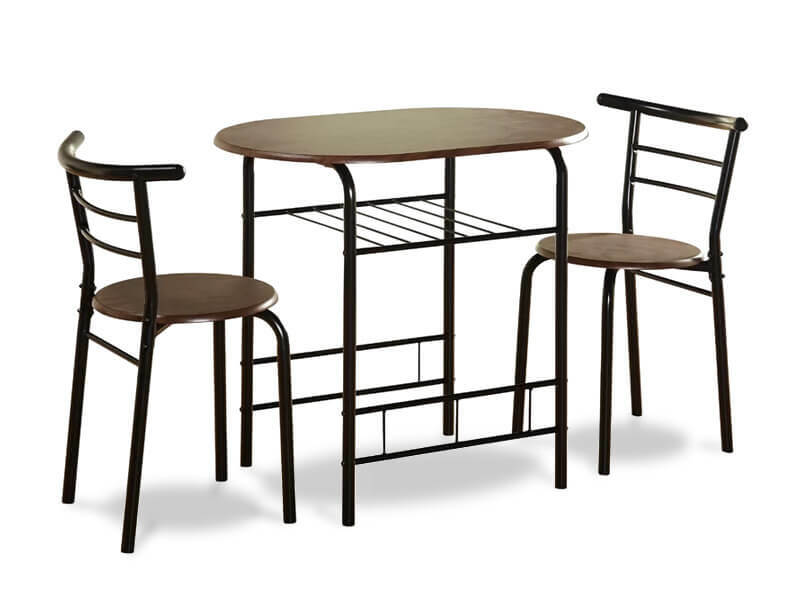 This set will save you space while giving your eating area style. 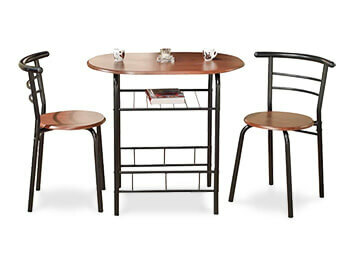 Rent this amazing set from Inhabitr today.